Using blueprints discovered on Iokath, Dr. Oggrurobb was able to adapt this droid for the Alliance. The A7 Surveillance Drone is programmed with offensive, defensive and medical protocols. Assassin Droids are often used as enforcers by criminal elements. This QO-77 unit is programmed with offensive, defensive and medical protocols. Personal Warbots are often used for guard duty by various cartel groups. This Personal Warbot is programmed with offensive, defensive and medical protocols. Security droids are armed units used for defense on starships or in buildings. Capable warriors, this Annihilator T4-1D is programmed with offensive, defensive and medical protocols. These droids were at one time used as part of the Dread Masters' defensive unit. Alliance Forces salvaged and reprogrammed D-R3D with offensive, defensive and medical protocols. Probe droids are often used to carry out reconnaissance or patrol missions. This probe droid is programmed with offensive, defensive and medical protocols. Alliance forces found and repaired the former Iokath assault droid, K1-Z3N. Equipped with advanced protocols to aid its master and dispatch its foes, this unit has been restored to peak condition. Salvaged and serviced by Imperial engineers, this probe droid combines Iokath technology with Imperial ruthlessness. Recovered and reprogrammed by Republic forces, this Iokath probe seems absolutely effervescent in its eagerness to fight by your side. This refurbished Iokath Purifier droid, H1-K1, is the first in a line of droids released for use by Alliance technical staff. Alliance directives and Iokath technology have combined to create a superlative combat specialist. Hutt-employed scientists designed and manufactured advanced war droids unlike anything the galaxy has seen. Recently decommissioned from Makeb, this ISO-5R unit is ready to serve more civilian needs. Often used by the Republic for boarding enemy ships. This unit is programmed with offensive, defensive and medical protocols. Security droids are a type of droid often used as bodyguards, or to protect objects of value. This particular droid has seen severe conflict. 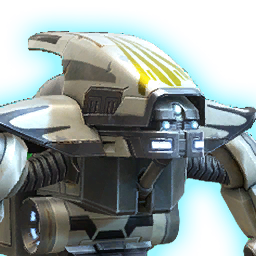 TY-4N is a Battle Droid created and once deployed by the Zakuulan Empire. This unit is programmed with offensive, defensive and medical protocols. Fires a missile that hits all hostiles 4m around the enemy target dealing <<1>> weapon damage to up to 5 targets. Blasts the target, dealing <<1>> weapon damage, heals for 25% of damage dealt and generates a moderate amount of threat.